Vietnam’s Ly Thanh Dat bus line is known to operate mainly on the fixed routes between Ho Chi Minh City or also known as Saigon and An Giang. It is also recognised as one of most prestigious brands to provide transportation for travellers en route to the Western side of Vietnam. Whether you are planning to check out Tra Su Forest or Suoi Tien Theme Park, Ly Thanh Dat buses will get things started for you once you have booked your bus tickets online through Easybook. 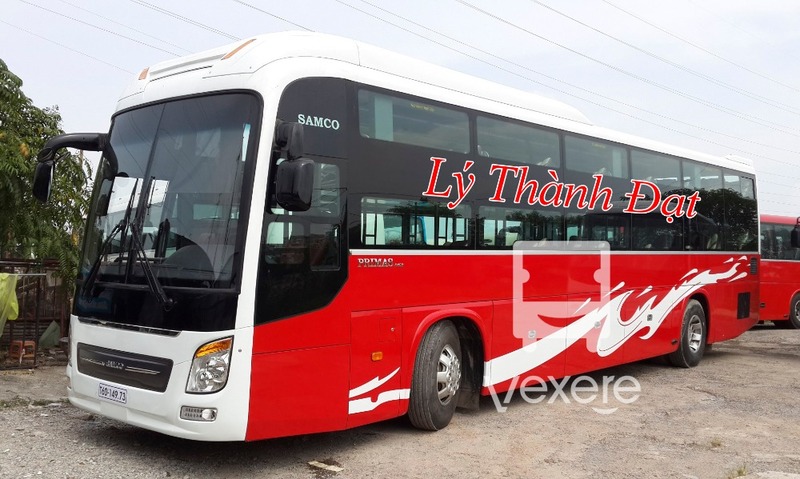 Ly Thanh Dat puts their passengers first as it is their main priority, which is why the operator is known for one of the best services in the local bus transportation industry. You can find modern facilities such as the TV and air-conditioning system onboard with complimentary drinking water and face towels provided on the bus when you ride with Ly Thanh Dat. You can also be assured that the company delivers the highest quality of services as they have well-trained and experienced drivers to get you to your destination safely. Ly Thanh Dat buses depart from Saigon to Tri Ton town of An Giang Province with 8 trips available per day. At the moment, Ly Thanh Dat bus line merely focuses on its main route that travels from Saigon to Tri Ton town in An Giang and vice versa. The demand to travel to other cities and provinces of neighbouring cities in the western side of Vietnam has been increasing, which is why Ly Thanh Dat is preparing extensions of its transport capacity to other destinations such as Chau Doc, Ha Tien, Tinh Bien and others to meet the needs of passengers. Apart from the regular bus services mentioned, Ly Thanh Dat also provide freight services from Saigon to An Giang and back. While maintaining the steady development of its current business, the company builds a variety of services for the future in the transportation sector shows Ly Thanh Dat’s ambition to affirm its reputation in Vietnam. Jump onboard with Ly Thanh Dat the next time you are heading to Ho Chi Minh City or An Giang in Vietnam. Book your hassle-free bus ticket online through Easybook now and have a great time ahead!